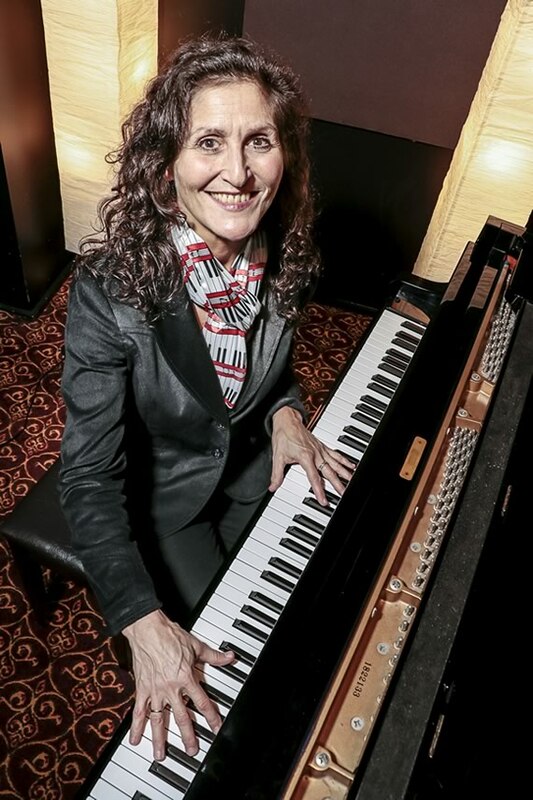 Liane Fainsinger began to display unusual musical ability at age three when her mother—after playing Petula Clark’s Downtown on the piano—heard the toddler playing back the tune on the piano in the next room. Today, as a Toronto jazz pianist and vocalist, Liane continues to amaze audiences and peers with her passion, virtuosity and musical sensitivity. Born in Cape Town, South Africa, Liane proudly bears a name steeped in musical tradition dating back to 1800s Poland where her ancestor, Joshua Fainsinger, was a celebrated cantor. She grew up in a home filled with music and dance. “Mom has a lovely voice and was always playing music,” she says. “Dad played violin and clarinet, and my sister and brother sang and played as well.” Also adding to the soundtrack of her youth were swing greats like Benny Goodman, Louis Armstrong, Ella Fitzgerald and Nat King Cole, and the classic MGM musicals her family watched instead of TV. Though Liane is classically trained, jazz took over her life and soul when she discovered the teachings of bebop legend Dr. Barry Harris. It happened through Howard Rees’ jazz workshops in Toronto—which she regularly attends and highly recommends—and via one of his accomplished students, Lenny Binder. She has participated in several of Dr. Harris’ master classes in Toronto, New York, Montreal and Rome. In recent years Liane has honed her skills performing regularly at Toronto jazz venues. Her performance roster includes solo piano and vocals; duo with bass; trio with bass and drums; and quartet with bass, drums and sax/flute.